A care home in Uddingston celebrated Halloween in style this year with a traditional, spooky-themed party. Bupa’s Highgate Care Home, on Old Edinburgh Road, organised the party for its residents on Friday 28th October. Staff, residents and their relatives took to the floor dressed as witches and other classic, Halloween characters in a bid to win prizes for the best costume. They also took part in fun activities such as apple bobbing and were treated to a selection of themed snacks and beverages. The activities were arranged by Michelle Ferrey, Home Manager at Highgate Care Home. Michelle said: “Everyone had a great time at the party – it’s a fantastic chance for residents to socialise and enjoy themselves and we strive to do this on as many occasions throughout the year as possible to ensure we’re giving our residents the best quality of life. “We’re always looking to create innovative and inspiring activities and events for our residents and Halloween is a key opportunity to do this. 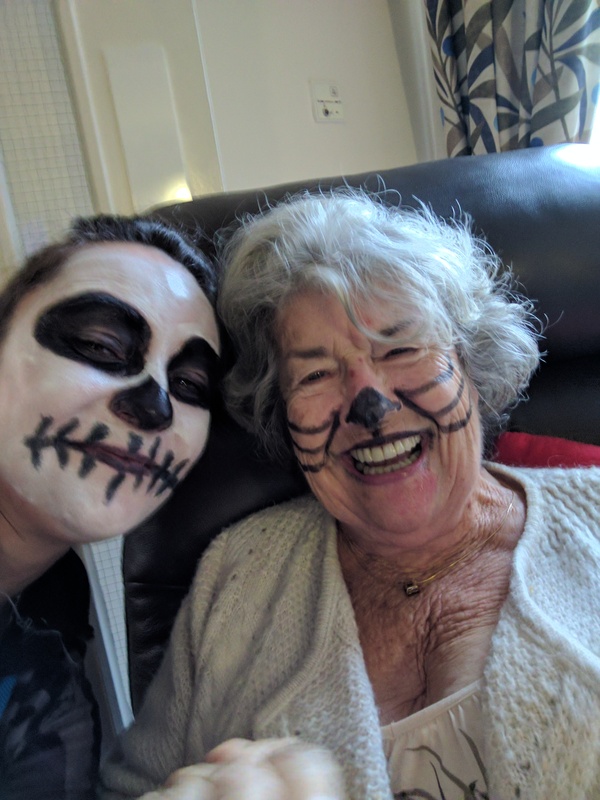 “We gave our residents the option of dressing up if they wanted to – and of course staff and family members always go all out when it comes to costumes – so we all thoroughly enjoyed ourselves.